Seizure Disorders: Klonopin is useful alone or as an adjunct in the treatment of the Lennox-Gastaut syndrome (petit mal variant), akinetic and myoclonic seizures. 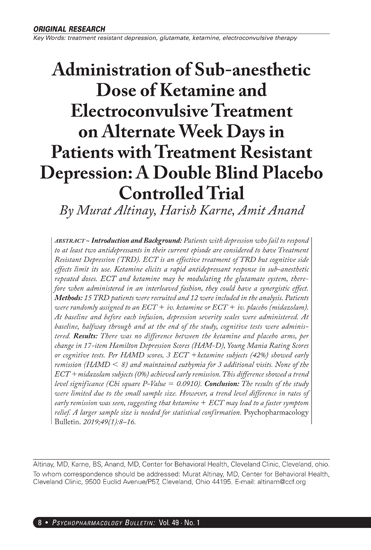 In patients with absence seizures (petit mal) who have failed to respond to succinimides, Klonopin may be useful. Klonopin (clonazepam) tablets FDA Approved Labeling Text October 2013 In some studies, up to 30% of patients have shown a loss of anticonvulsant activity, often within 3 months of administration. In some cases, dosage adjustment may reestablish efficacy. Panic Disorder: Klonopin is indicated for the treatment of panic disorder, with or without agoraphobia, as defined in DSM-IV. Panic disorder is characterized by the occurrence of unexpected panic attacks and associated concern about having additional attacks, worry about the implications or consequences of the attacks, and/or a significant change in behavior related to the attacks. 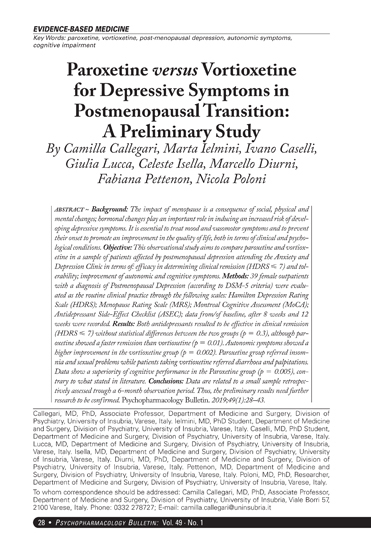 The efficacy of Klonopin was established in two 6- to 9-week trials in panic disorder patients whose diagnoses corresponded to the DSM-IIIR category of panic disorder. Panic disorder (DSM-IV) is characterized by recurrent unexpected panic attacks, ie, a discrete period of intense fear or discomfort in which four (or more) of the following symptoms develop abruptly and reach a peak within 10 minutes: (1) palpitations, pounding heart or accelerated heart rate; (2) sweating; (3) trembling or shaking; (4) sensations of shortness of breath or smothering; (5) feeling of choking; (6) chest pain or discomfort; (7) nausea or abdominal distress; (8) feeling dizzy, unsteady, lightheaded or faint; (9) derealization (feelings of unreality) or depersonalization (being detached from oneself); (10) fear of losing control; (11) fear of dying; (12) paresthesias (numbness or tingling sensations); (13) chills or hot flushes. The effectiveness of Klonopin in long-term use, that is, for more than 9 weeks, has not been systematically studied in controlled clinical trials. The physician who elects to use Klonopin for extended periods should periodically reevaluate the long-term usefulness of the drug for the individual patient. Interference With Cognitive and Motor Performance: Since Klonopin produces CNS depression, patients receiving this drug should be cautioned against engaging in hazardous occupations requiring mental alertness, such as operating machinery or driving a motor vehicle. They should also be warned about the concomitant use of alcohol or other CNS-depressant drugs during Klonopin therapy. General Concerns and Considerations About Anticonvulsants: Recent reports suggest an association between the use of anticonvulsant drugs by women with epilepsy and an elevated incidence of birth defects in children born to these women. Data are more extensive with respect to diphenylhydantoin and phenobarbital, but these are also the most commonly prescribed anticonvulsants; less systematic or anecdotal reports suggest a possible similar association with the use of all known anticonvulsant drugs. Advice Regarding the Use of Klonopin in Women of Childbearing Potential: In general, the use of Klonopin in women of childbearing potential, and more specifically during known pregnancy, should be considered only when the clinical situation warrants the risk to the fetus. Worsening of Seizures: When used in patients in whom several different types of seizure disorders coexist, Klonopin may increase the incidence or precipitate the onset of generalized tonic-clonic seizures (grand mal). This may require the addition of appropriate anticonvulsants or an increase in their dosages. The concomitant use of valproic acid and Klonopin may produce absence status. Laboratory Testing During Long-Term Therapy: Periodic blood counts and liver function tests are advisable during long-term therapy with Klonopin. Risks of Abrupt Withdrawal: The abrupt withdrawal of Klonopin, particularly in those patients on long-term, high-dose therapy, may precipitate status epilepticus. Therefore, when discontinuing Klonopin, gradual withdrawal is essential. 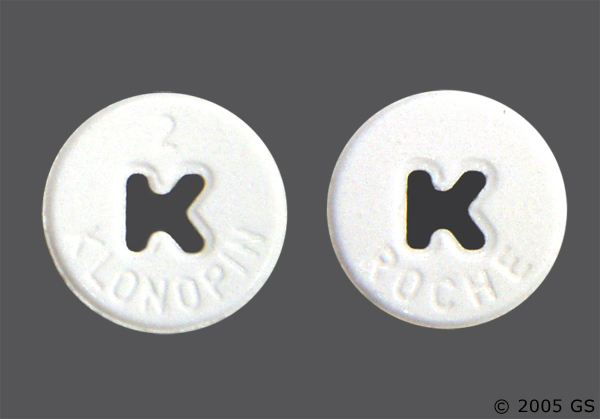 While Klonopin is being gradually withdrawn, the simultaneous substitution of another anticonvulsant may be indicated. Caution in Renally Impaired Patients: Metabolites of Klonopin are excreted by the kidneys; to avoid their excess accumulation, caution should be exercised in the administration of the drug to patients with impaired renal function. Hypersalivation: Klonopin may produce an increase in salivation. This should be considered before giving the drug to patients who have difficulty handling secretions. Because of this and the possibility of respiratory depression, Klonopin should be used with caution in patients with chronic respiratory diseases. 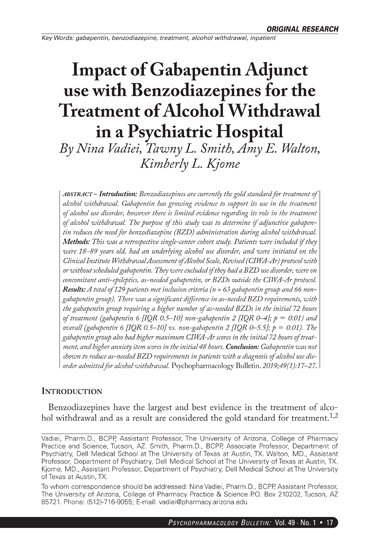 Dose Changes: To assure the safe and effective use of benzodiazepines, patients should be informed that, since benzodiazepines may produce psychological and physical dependence, it is advisable that they consult with their physician before either increasing the dose or abruptly discontinuing this drug. Interference With Cognitive and Motor Performance: Because benzodiazepines have the potential to impair judgment, thinking or motor skills, patients should be cautioned about operating hazardous machinery, including automobiles, until they are reasonably certain that Klonopin therapy does not affect them adversely. 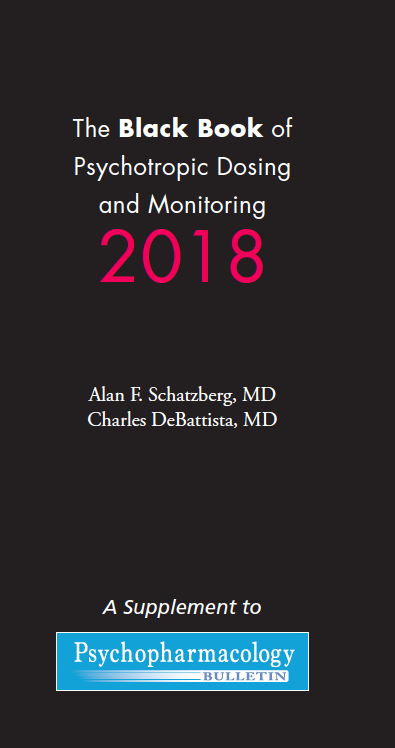 Suicidal Thinking and Behavior: Patients, their caregivers, and families should be counseled that AEDs, including Klonopin, may increase the risk of suicidal thoughts and behavior and should be advised of the need to be alert for the emergence or worsening of symptoms of depression, any unusual changes in mood or behavior, or the emergence of suicidal thoughts, behavior, or thoughts about self-harm. Behaviors of concern should be reported immediately to healthcare providers. Panic Disorder: Adverse events during exposure to Klonopin were obtained by spontaneous report and recorded by clinical investigators using terminology of their own choosing. Consequently, it is not possible to provide a meaningful estimate of the proportion of individuals experiencing adverse events without first grouping similar types of events into a smaller number of standardized event categories. In the tables and tabulations that follow, CIGY dictionary terminology has been used to classify reported adverse events, except in certain cases in which redundant terms were collapsed into more meaningful terms, as noted below. The stated frequencies of adverse events represent the proportion of individuals who experienced, at least once, a treatment-emergent adverse event of the type listed. An event was considered treatment-emergent if it occurred for the first time or worsened while receiving therapy following baseline evaluation.